Join us as we hear from Australian Academy of Technology and Engineering President, Professor Hugh Bradlow who will discuss the benefits, emerging technology and transition to autonomous road systems. Can we eliminate human error from the road system? Emerging technology creates the possibility of a fully autonomous road system where no human is involved in the control of a vehicle. This would not only save thousands of lives and reduce the burden on the health system, but would eliminate congestion and avoid the need to build new roads, as we shall discuss in this presentation. It is likely to be the single biggest urban transformation we witness in the first half of the 21st century. 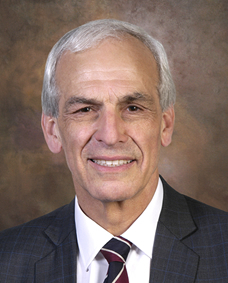 Hugh S. Bradlow is President of the Australian Academy of Technology and Engineering. He is also an independent Non-Executive Director of Silicon Quantum Computing Pty Ltd. He was previously Chief Technology Officer and Head of Innovation at Telstra, responsible for the research and development of new technologies and their introduction into Telstra’s business. Subsequently he became Chief Scientist at Telstra, in which role he advised the Telstra Board and management on the longer term technology directions and technology disruption anticipated to affect Telstra and its customers. Professor Bradlow is a graduate in electrical engineering from the University of Cape Town in 1973 and received the D.Phil. degree for research in experimental nuclear physics from the University of Oxford. He is an Emeritus Professor of the University of Wollongong, a Professorial Fellow of the University of Melbourne and a recipient of a Centenary Medal from the Commonwealth of Australia.